Once again the festive season has allowed the gathering of old friends to socialise, catch up on the year’s events and in general put the world to rights ahead of 2016. At one such gathering the subject of music and “prog” cropped up in the conversation, as it often does. TPA got a mention, although one dear friend remarked, that although he enjoyed visiting the site, that the vast majority of bands we covered he’d never heard of. A brief “surely that’s the point” conversation ensued, worryingly followed by a much longer discussion surrounding our teenage heroes. 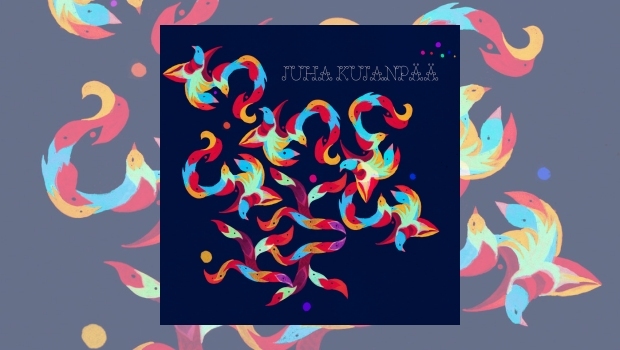 So here’s another album that will have alluded him, the second release from Finnish composer, arranger and keyboard player Juha Kujanpää. Although firmly rooted in cultural folk music, Juha has once again taken a diverse mix of jazz, rock, classical and neatly cocooned them in a distinct Scandinavian progressive concoction. The end result is an immensely enjoyable album and an excellent follow up to 2013’s Kivenpyörittäjä. 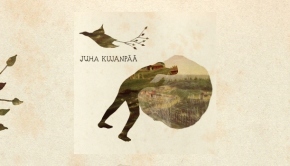 Apologies here, as Kultasiipi is an album that has spent a little too long on the ‘pending review’ table – although as it turns out it nicely sees completion over the festive celebrations, with the opening track, Paalasmaa, containing an upbeat seasonal tone. The uplifting melody is accompanied by multiple layers of interwoven themes and harmonies. The sort of track that might well have come from the pen of Mike Oldfield, with catchy themes embellished throughout, and perhaps the final touch coming from the sweet harmonised guitars. With a slightly darker tone, this formula continues into the second track, where once again the rockier elements sit very comfortably with the string section. With a rich tapestry of sound Athene Ja Zephyr is a hugely infectious track building in stature throughout. The delicate Hetken Haave | (Impromptu) offers that gentle respite and again the melodies are alluring and the arrangement befitting – a piece that could have gone on much longer for me, however the tranquility is broken by the hand-clapping that introduces Tapiirikuningas. As the track moves forward I felt I had been transported to Merthyr Tydfil as periodically the strong theme and stomping beat captured the essence of Welsh giants, Man. 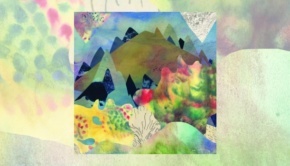 As with the previous album the music is ornate, without ever being ostentatious, with the carefully interwoven themes and melodies coalescing into a diverse but ultimately coherent album. Even those more oddball tracks, such as Kahvit Kuopiossa, which is equally reminiscent of William D. Drake as it is of dance hall music from some seventy or eighty years ago. The accordion, banjo, swirling strings accompany a jaunty clarinet melody line in one of the album’s delightful, quirkier moments. Casting my mind back to the conversation from the festive gathering and although I wouldn’t change my musical heritage, I’m delighted to have discovered a multitude of ‘obscure’ artists and albums that may well have passed me by if I had remained, and as the saying goes, “…happy enough with my old Genesis records”. As always it’s possible to continue offering brief descriptions of each of the remaining tracks, but hopefully you will have garnered a feel for the music to be found on Kultasiipi.